This project by Norway based company Uniform Strategisk Design AS is a finalist for the Service Design Award 2017 in the category of Professional, Non-profit / Public Sector. Within the Norwegian railway sector, Bane NOR is responsible for the administration and construction of rail infrastructure and property such as train stations and junctions. NSB (the Norwegian State Railways) and Flytoget (Airport Express Train) are the only two train operators on the Norwegian railway network. 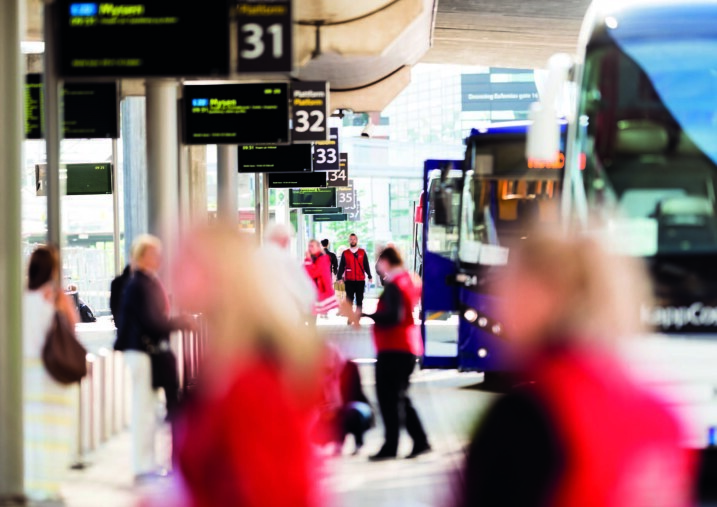 NSB carries around 68.5 million passengers per year1 and is one of the strongest and best-known brands in Norway. Every summer, Bane NOR is dependent on rail traffic stopping fully or in part on several stretches of track – affecting multiple stations – in order to carry out planned maintenance and construction. In addition to this, train traffic is subject to numerous unexpected, unplanned deviations and stoppages ever year, which may be caused by everything from technical issues and natural complications to accidents and collisions. In 2014, around 15.1 million train passengers were affected by train traffic issues comprising both “planned and unplanned” deviations. In all, approx. 3,500 train journeys are interrupted fully or in part every year2 . 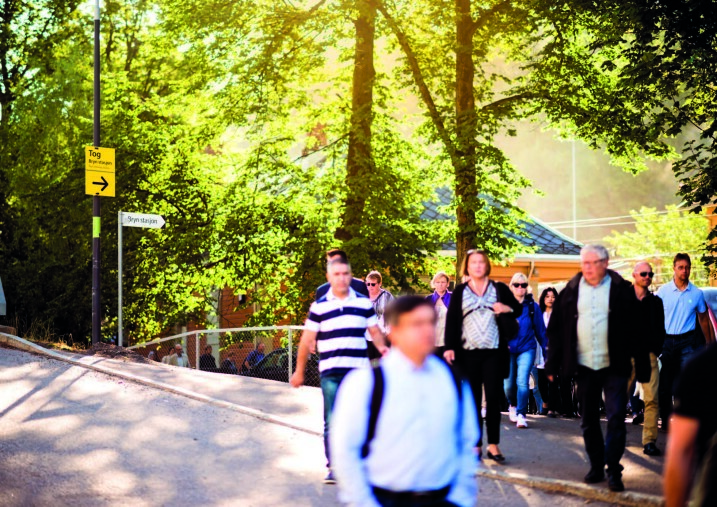 In such situations, Norwegian train passengers are offered replacement bus services, irrespective of whether their journey has been affected by a planned stoppage or an unexpected and unplanned incident. 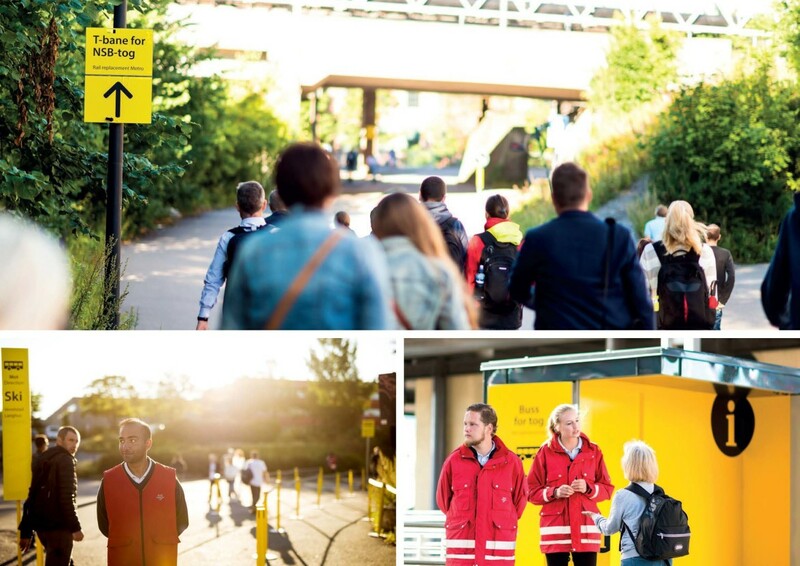 NSB is responsible for planning, organisation and practical execution – an area of responsibility that also involves the work of customer guidance staff who are physically present at stations to provide travellers with assistance, information and guidance. Internally in NSB, this has largely been viewed as a purely logistical challenge, without focus on the customer experience. The offer of bus services to replace trains is commonly referred to as “Buss for tog” (Train replacement bus). This is a negatively charged term, and travellers themselves describe the situation as stressful and frustrating, distinguished by chaos, delays and insufficient information. NSB’s 2014 customer satisfaction survey revealed that customer satisfaction with the handling of “Buss for tog” was at 46%; the corresponding score for normal services is 70%3 . In addition, the survey revealed that 30% of travellers had a directly negative view of NSB’s handling of both planned and unexpected deviations in train traffic.4 Much of this dissatisfaction is attributable to the perception that the NSB customer guidance staff are unable to provide sufficient information or to deal with the situation. Deviations in train traffic and the train replacement buses are challenging to both families and the business community; at their worst, they prevent people from keeping appointments and/or from arriving at work on time. Further, 75% did not know that there was planned work during summer. The challenge and the societal consequences were so substantial that in 2014, the Norwegian Ministry of Transportation actually demanded immediate measures and long-term plans to deal with the challenges linked to the handling of irregular situations in train traffic. An entire railway sector thus found itself under considerable pressure. At the start of the project in 2014, three (3) ambitious targets were defined: 1) 90% of travellers is to know about and understand how they are otherwise to reach their destination, and how the deviation (planned or unplanned) in the train traffic will affect the remainder of their journey; 2) the share of passengers negatively disposed to the handling of “Buss for tog” is to be less than 17% before October 2015; and 3) customer satisfaction with the handling of “Buss for tog” to improve from 46% to 70%. 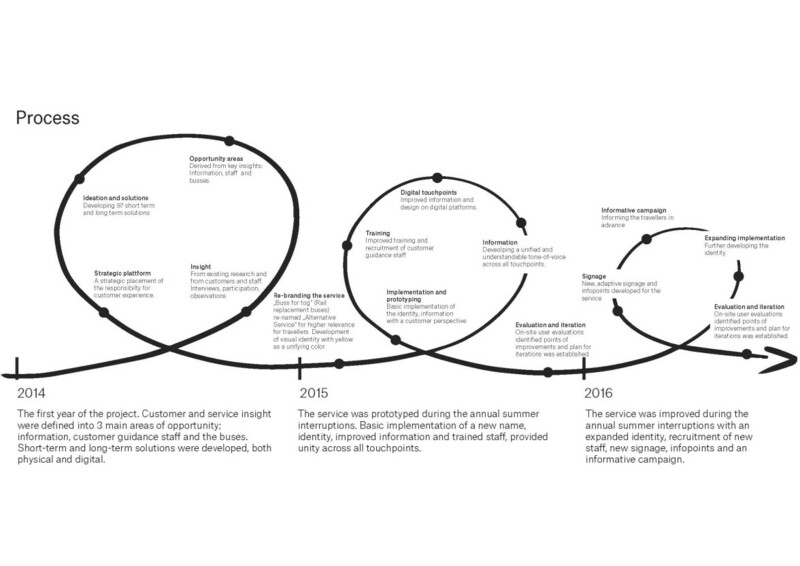 NSB decided to use service design as the methodology, and the project was run according to Uniform’s process, which included the following phases: 1) Identifying the challenges, 2) Insight, 3) Visualisation 4) Creating and 5) Testing and evaluating. One critical factor for success in creating a holistic service was to work closely with all the players in the railway sector, public and private sector property companies and public authorities. The first step was therefore to complete a comprehensive stakeholder mapping process, which provided an overview of all players that directly or indirectly affect the customer experiences of travellers. The next step comprised desktop research and a review of all previous quantitative and qualitative research NSB had performed on the issue. We prepared hypotheses and identified areas in which existing insight was lacking. Uniform and NSB prepared a comprehensive insight plan and interview guide, and started work on gathering insight. In this work, it was essential to map both “planned” and “unplanned” deviations, and to apply a scope that covered everything from giant junction stations in Oslo, to small, low-volume stations in rural areas. It was also important to differentiate between how this affected experienced travellers (people familiar with the system, the journey and the geography) and inexperienced travellers (people unfamiliar with the system, the journey, and/or the geography) We made use of large parts of the qualitative toolbox and methods such as site surveys and interviews with travellers at stations. In addition, we performed observations and mapped how travellers in irregular situations moved from the platform to the area where NSB was running bus transport – usually located outside the station itself or even the station area as a whole. We observed and mapped existing signage and way-finding, queues and queuing systems, and took note of the mood and the passenger experience during the period when travellers were waiting for information and the replacement bus service itself. We carried out ride-alongs on buses and interviewed everyone from bus drivers to managers of the various bus companies that operate services on contract for NSB. We also completed a comprehensive mapping of enquiries to the NSB Customer Service Centre, interviews with key personnel at NSB who are responsible for the logistical side of “Buss for tog”, and representatives of Bane NOR who are responsible for stations and station areas, and for some of the information provided to travellers. Finally, we interviewed NSB employees who have direct contact with customers in extraordinary situations. Examples of such employees include staff on board the trains, and customer guidance staff at the stations. The customer guidance staff constitute the key contact interface with the travellers, and comprise a small core of full-time employees backed by a large number of young school pupils and students who do the work as a part-time job, and are often called in at short notice in response to delays and/or cancellations. We built up an understanding of the working day they faced, and the extent to which they had the tools, training and knowledge necessary to handle interaction with frustrated train passengers. The next step was to systematise the insight, document findings and use all this information to build up a holistic customer journey for both “planned” and “unplanned” deviation situations. We also identified the key touchpoints and the biggest pain-points in the customer’s journey, and documented the responsible players. The various pain-points were transformed into peak opportunity areas, which became the key focus areas for succeeding in building up a holistic service for dealing with planned and unplanned deviations. These three (3) opportunity areas were: 1) Timely information and clear message through making sure travellers receive information about what has happened, what they are to do, and how long it will take; 2) Customer guidance staff and how to give them the authority and tools to ensure they are able to provide good, reliable information to travellers; and 3) The bus service delivery and how bus drivers must take on a service and information role to reassure travellers. 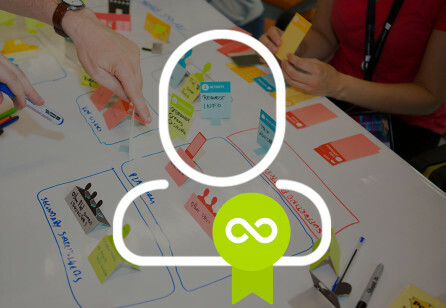 These three opportunity areas formed the basis for creative idea development, and a total of 95 large and small solutions were put forward for different areas drawn from the entire customer journey. The solutions suggested were then prioritised on the basis of whether they would generate value for 1) travellers; 2) NSB; and 3) society. Moreover, the solutions were assessed from the perspective of whether it would be possible to implement them in the short or the long term (in connection with work planned for summer 2015 or for 2016). The biggest and most important strategic aspect of the project involved NSB redefining “Buss for tog” (Train replacement bus) from being a logistical challenge involving large numbers of people, into the provision of a seamless and holistic customer experience and service for travellers. We determined that NSB had to shift focus from viewing this as a negative issue to a positive one. Prior to the project, responsibility for customers was fragmented, while the strategic responsibility for the customer experience was lodged with the senior management at NSB. 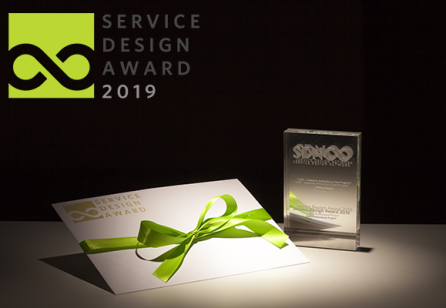 Service design was deployed as the methodology, and is now the approach adopted by NSB when working with Uniform on other projects. 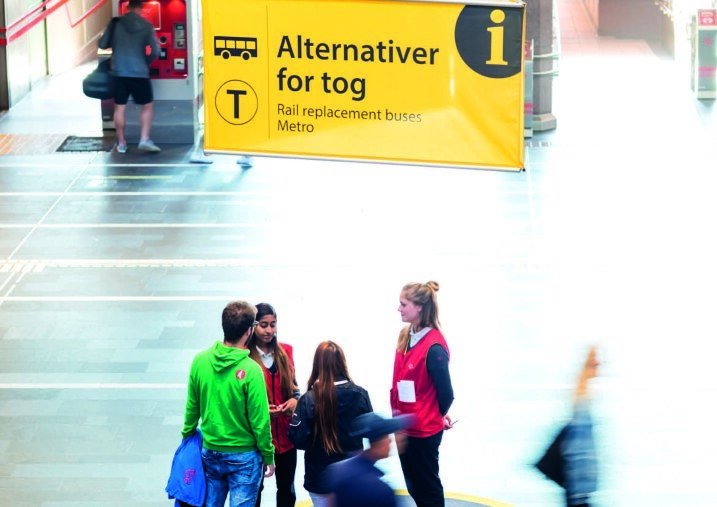 The practical solutions that were prioritised in the run-up to the summer shut-downs in 2015 included rebranding “Buss for tog” as “Alternativ Reise” (Alternative Service). This name allowed us to create a broader platform and broader expectations to what the service could comprise as regards other transport solutions (tram, metro, taxi) and other services. Uniform developed a holistic visual identity and design manual for the service. 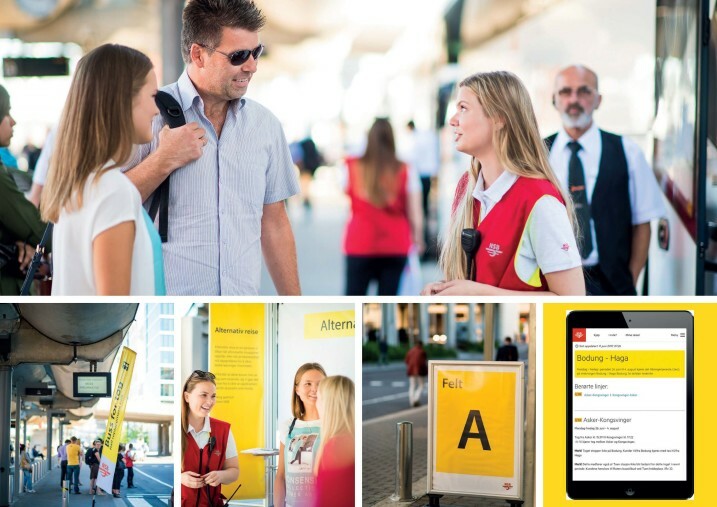 One overarching initiative was the active use of the colour yellow in the identity – building on established conventions regarding deviations in the transport sector – as this makes it easier for travellers to identify communication associated with a non-standard situation at all touch-points in their journey and across both physically and digital channels. In addition to this, Uniform developed a large number of other initiatives adapted to both planned and unplanned deviations, such as information posters and flyers, clothing for customer guidance staff, beach flags and tents for establishing clear remote signals, and for marking out the area from which NSB is running bus services. Uniform also designed a new recruitment and training programme for NSB customer guidance staff, which we called “Best in front”. During the weeks of planned works in the summer of 2015, Uniform performed a new mapping of the customer experience and an assessment of the solutions that had already been developed. This analysis and the pilot project laid the foundations for the continued development of existing solutions, and the start-up of the process for developing a comprehensive system of signs for the ten biggest and most important train stations. 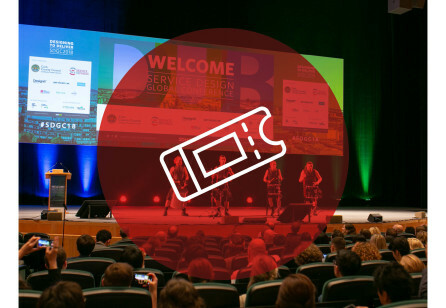 Uniform brought in Grid Design AS as a partner in the idea development, detailed planning and production of specifically adapted sign solutions. The solutions include everything from prepared, permanent signs and information points that can be “activated” in the event of a deviation situation, to temporary solutions. Grid Design AS developed individual signage plans for all the stations. Through the application of solid principles and visualisations of a variety of signs and way-finding solutions, Uniform, Grid and NSB succeeded in involving Bane Nor, the City of Oslo and the Norwegian Public Roads Administration, who allowed us to use their properties and public spaces to set up permanent and temporary information signs and way-finding solutions for the service. Uniform continued development of several other initiatives and solutions across the entire customer journey and touch-points. NSB stepped up its PR and mass communication work to boost knowledge among travellers about work on the railways scheduled for summer 2016. One example of this is the animation video made by TRY, the commercial agency of NSB5 . Immediately after completion of the planned work in summer 2016, NSB carried out a number of surveys which revealed that 98% of travellers were aware of the planned summer interruptions prior to week 316 . This meant that many of them had plenty of time to (re)plan their holidays and to make other arrangements to avoid the problems. In addition, surveys showed that 85% of travellers who were affected by the work were satisfied with their interaction with customer guidance staff7 . Providing a holistic service backed by a clear visual identity and signage made it significantly easier for travellers to find their way in irregular situations. Looking at the internal aspects of the organisation at NSB, customer responsibility has given an unambiguous strategic position and the organisation has achieved broad involvement across professional disciplines and divisions, which have all taken on shared ownership of what has become a service to be proud of. 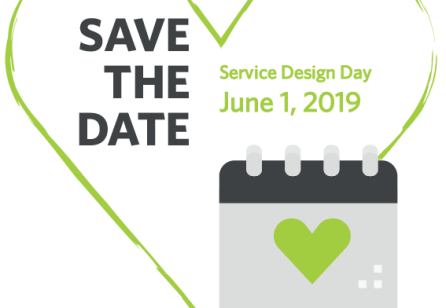 Service design has now been adopted as the methodology and approach to large, complex and mission-critical problem issues. A new recruiting process has been set up for customer guidance staff at NSB, and these employees now complete a new and more broadly encompassing course and training programme before being deployed to stations to during deviation situations. A new planning and information tool has also been developed, which improves predictability for both customer guidance staff and NSB as a whole. Another effect of the project has been the establishment of a closer working relationship between the various players in the railway sector and NSB, with a shared goal and recognition of the fact that it is necessary to work together to provide the 68.5 million travellers with the best service possible in situations where construction work or maintenance of the railway infrastructure has been planned, and in cases where unforeseen incidents result in delayed or cancelled services.